Hey guys, Just got time to go through Matt’s interview session on the WordCamp Europe 2016 and after it while crawling for some of his other interviews got a fantastic spot: “WordPress’ footprints on the global map!” Except for the communist superpowers – Russia and China – all around the world over 409 million people view more than 24.6 billion pages in over 120 languages. “Next year, I hope to see a little dot on the Russian map too!” Mullenweg stated confidently, a moment later, with a smile on the lips. It made me curious to understand how can countries like Russia and China avoid such a dominant fuel which powers 28.7% of all websites globally. When I realized there are 50,000 WordPress sites added daily, I became impatient. Of course, what could be a better option than the internet? Slowly nights started to occupy in quenching my thirst of knowing the reason. However, it led me in a new direction. Out of nowhere, it struck me, how about if I keep aside Russia and put these two siblings: “India & China.” Both have a thriving potential to rock the world of 21st century. More above it, both have done a tremendous growth in the IT field in the last few decades, but surprisingly both seem to have chosen an opposite path to achieve the same goal. Let me share with you a different story which depicts this rivalry more accurately. I love the game of cricket. Cricket is the game where both the teams are given fair time and chance to win. It depends on the strategy chosen and followed by the teams. Sometimes they win by bowling, sometimes by batting. The case of strategy building with outsourcing and manufacturing is the same. India’s strategy seems to be converting the success of outsourcing to future manufacturing projects, and China falls on the complete opposite path, taking advantage of its homemade products to put the feets in the outsourcing. Both have strengths, both have weaknesses, and surprisingly, both know about each other’s strengths and weaknesses. According to some estimates, India controls 44% of the global outsourcing market of software and back-office services. And thus, India has become the host of the choice of most American and European Union companies for outsourcing. Surprisingly, the risk of privacy of data has raised with such outsourcing practices such as danger of handing over the customer specific private information of credit card numbers, driving license numbers, social security numbers, etc. but still they trust more on Indian companies than on the other ones which raise the brand value of India in the market. This has been the story of last two decades, now with the new government, Indian route of growth has been tried to come out of the comfort zone and drive to the manufacturing market. Since when the new government has come into the power, India has seen some of the significant economic changes in the very short time. Make In India is one of the very eye catching campaigns in this direction. Make In India more precisely and more closely related to IT Industry as its the only sector as of now which is having tremendous scope to Make Something In India. The reasons are more clear but the main reason proving it is that it’s the most modern business of the 21st century and India has the complete “Homework” to its report card. Thus, PM Modi’s announcement seems to be the reverse journey from outsourcing to manufacturing in a particular pre decided manner. Unlike India, China’s journey towards the computer technology started around the same time but on a parallel track. India’s computer drive was much based on the U.S and the European Union but China started from Soviet Russia. Parallel in a way that unlike a long halt in doing something with the computers in India, China dived into hardware manufacturing which was producing a significant amount of computer parts in the sixties and seventies. When China came to be introduced to the Internet world, it had already set up a kingdom in the hardware manufacturing. May be this way, it gave a slow start for the Chinese folks to understand the potential advances of the internet and IT related services. Nowadays China has broken this norm and has tried in last two decades to take the full advances of the IT Services but still has decided to create its own track rather than being on track, as World’s largest search engine Google is banned (With its version of the search engine, Baidu!! ), World’s most major social networking sites including Facebook is banned and so on for the other open source technologies too. 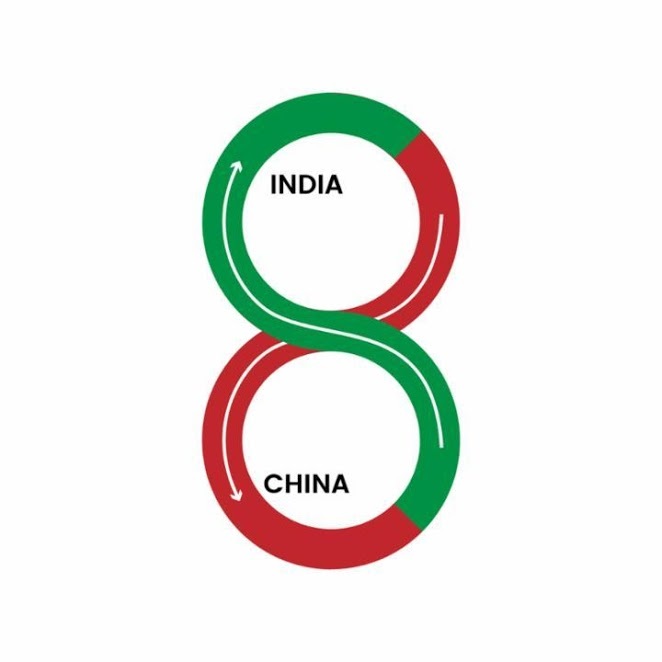 China’s software outsourcing was expected to reach about the US $60 Billion in 2015 where as India’s report card was showing turnover of US $62 Billion for even 2012. According to a survey, Indian IT sector employees earn quite more than their Chinese brothers. References: Is China going to beat India when it comes to IT talent in the near future?